The teaser for Jurassic World has been revealed, and even though it’s just a teaser the film is already looking far better than I expected. The good news, however, is that the full trailer premieres on Thursday! You can watch the teaser below. The film is scheduled for release on June 12, 2015, and stars Chris Pratt, Bryce Dallas Howard, Vincent D’Onofrio, and Jake Johnson. 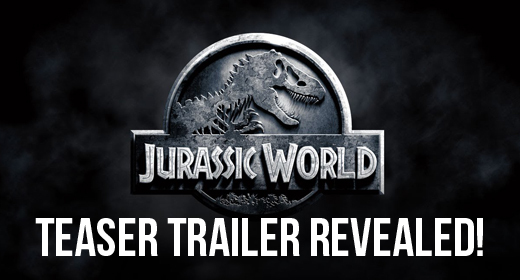 Check back here on Thursday for the full trailer! I’ll accept Chris Pratt in just about anything. Amelia Lauren liked this on Facebook. THank a lot for sharing information.